Leave those traps out there…..
It’s July the 1st. Where has 2013 gone? I have done an extremely poor job keeping you up to date with the goings on around here. Swarming was muted a little in May due to cooler than normal temperatures and didn’t really begin in earnest until we had some hot steamy days in June. When I first got into beekeeping I remember hearing this rhyme about, “A swarm in May, is worth a LOAD OF HEY, One in June is worth a Silver Spoon, and One in July not being worth a fly.” Those first couple of years I heard this many times from many different sources. Now I believe just like a lot of repeated B.ovine S.catology this rhyme should be put to bed. Perhaps in our world of instant gratification a swarm in July can’t give you a honey crop the first year. Asking a first year swarm to give you a crop is asking A LOT no matter what month they are caught in. Like asking a 3 month old to go get a job. I have experimented with extracting honey from first year colonies and have gotten them to produce, often times regretting the loss of many of those colonies. 1109 – 8/23/12 – Checked Top deep is full of honey. Next spring will re-space top deep to hold 9 frames and add 1 more deep underneath, then some supers at 9 frames each. It has been my experience that even swarms captured in July CAN and WILL overwinter… They may only overwinter in a single deep, but I have seen it happen time and time again as I look back through my records. That second year they have the potential to be just as productive as a colony caught in May the year before. One example of such a colony is 1110. They were trapped on 7/25/11. That’s almost AUGUST! They overwintered that first winter in the single deep. 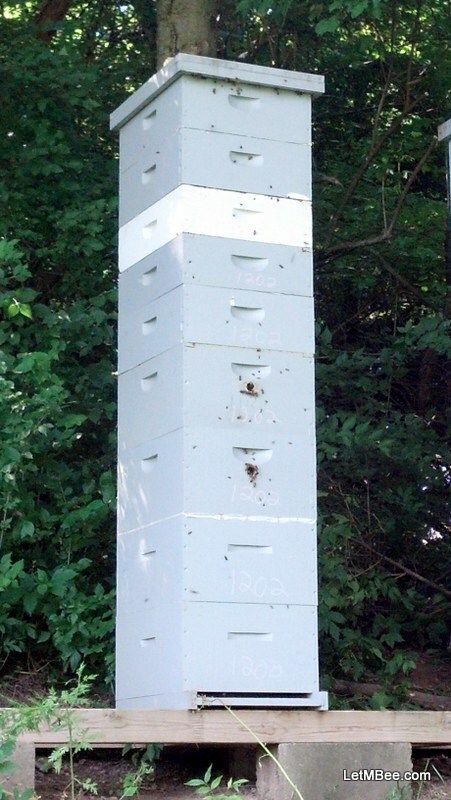 In 2012 – 1110 built up and provided 2 medium supers of honey. I had other colonies with better performance, but how much better can it get????…. A free colony that I didn’t feed or treat producing a honey crop in the second year, I will take it! This year 1110 is among my strongest colonies. They came through the winter with a large active population and needed to be supered early. Currently they are sporting 2 deeps and 2 mediums that will likely be full by August the 1st. 1109 is another example of a colony trapped late in 2011 near the end of July. 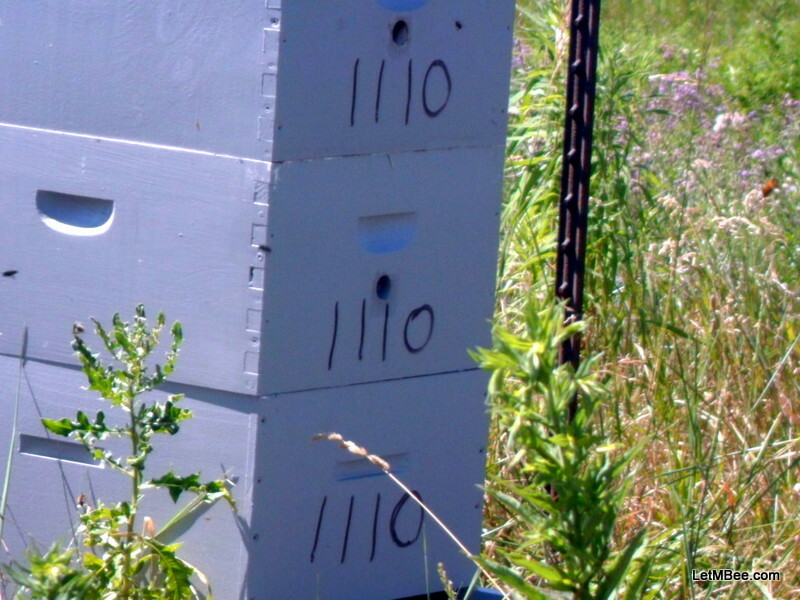 I got no honey from 1109 in 2012, but they overwintered with no feeding or treatment in my harshest hive site. This one site accounts for 45 percent of my total losses since starting beekeeping. This year as of 6/20/13 they had filled a deep and two mediums after being supered at the end of April. On 6/20/13 I added two more mediums and am fairly certain they will fill them. I will keep you posted. Many beekeepers I know only seem to be interested in the large primary swarms of May. It is nice to get 4-6 pounds of bees, but there are downsides to these big primary swarms. Primary swarms will usually have the old queen from the hive they have left. How old is that queen? Who knows, she may last several years or……. After a really strong start out of the box they may have a lull late in the season. What if they are forced to attempt supersedure? One thing is for certain the queen from a primary swarm is OLDER than a queen from a secondary or later swarm. 1110 – Genesis: TRAP12 From home back in back Maple tree ~7/25/11. Let’s think about why a trapped swarm from June or July might just be a good thing. Those later swarms are smaller, but there is a good chance that you are going to be getting a virgin or recently mated queen. Open mating while risky is what bees are SUPPOSED TO BE DOING and when you have been doing something for a million years or so why change? Once she is mated you will have a fresh queen ready for 2-3 years of productive egg laying. Sure sometimes later swarms will fail to overwinter, but who hasn’t had swarms caught in April or May fail? If you haven’t just keep bees a couple more years. 1109 – 9/1/11 – Added second deep box. Pollen entering hive, but all frames in bottom deep not fully worked yet. So what’s the point of this post? Once May is over, leave those traps out there! If you have equipment enough to house the bees keep trapping at least until the end of July. I put these captured swarms in the top box of a two deeps. 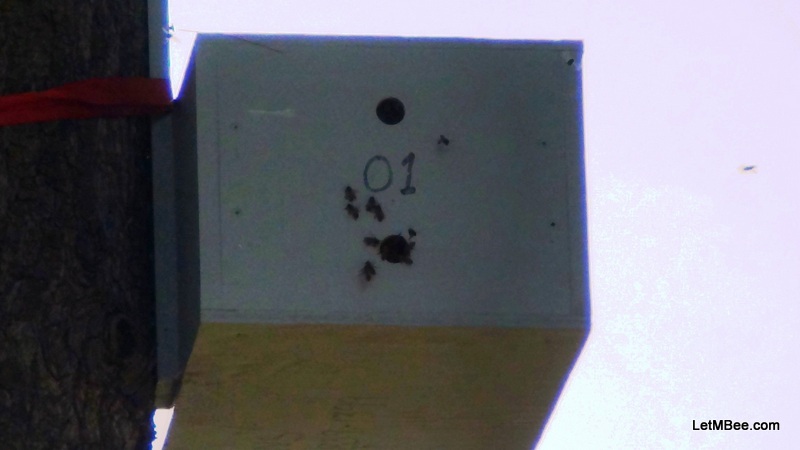 The lower box has only foundationless frames allowing the bees to work down naturally. It won’t cost you anything to see if they overwinter and wax moths will be gone soon. Don’t feed them and don’t treat. If they perish they perish, if they don’t they will build up quickly in the Spring. Quit buying bees, and increase your overwintering success MAKE SOME SWARM TRAPS AND DEPLOY THEM. Those that claim a late swarm isn’t worth a fly can stick it in their eye! Any late swarms interested in a nice place to stay are welcome in my swarm traps. I will give them a chance to make me some honey. I won’t expect much the first year and see if they are survivors. What’s the worst that can happen? 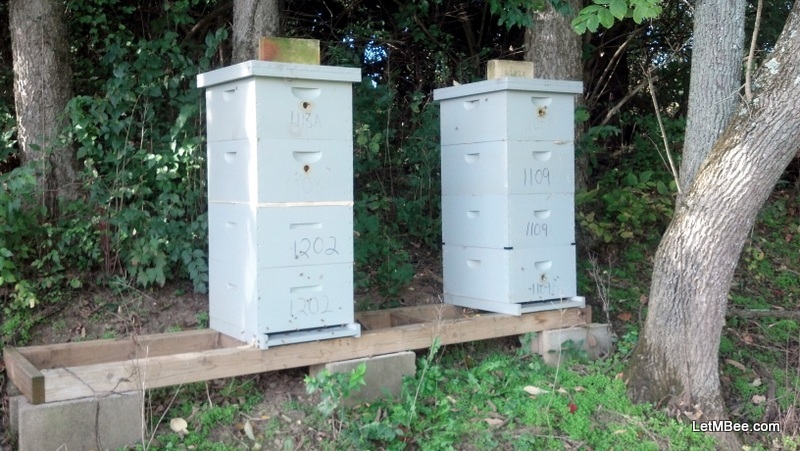 This entry was posted in Feral Bees, Posts, Swarm Trapping and tagged bait hive, bee, beekeeping, feral bees, foundationless frames, genetic resistance, Indiana Beekeeping, swarm trap, swarm trapping, treatment free beekeeping. Bookmark the permalink. 8 Responses to Leave those traps out there….. I read somewhere about a beekeeper who always requeens in late July, to break the brood cycle (varroa management) and to have a young queen with strong pheromones the next Spring (swarm prevention). George Imirie always requeened even later (albeit with already mated ones). I think his goal was to have a young queen laying like a Spring queen in the Fall, which means lots of young Winter bees. I suppose a late swarm is not much different, especially if you can put it in a hive with drawn comb. I’m not advanced enough of a beekeeper to be comfortable with requeening, but I’d sure be open to catching a late swarm. For now… I say let the colony decide if they want a new queen or not. Yes, colony decision and keeping it simple is best. Thanks for a great post… again. Yea late swarms are just fine IF you can put them on some drawn comb, they take time to build out their own comb. If you put a colony on drawn comb they take off incredibly fast, if they draw all their own comb there seems to be a direct correlation between the current growth and current size of a colony, and around here a late July swarm with no comb is gona have a rough go of it. I changed my tune recently about drawn comb for extraction since I had the pleasure of manually hiveing a super friendly swarm, I had a box of drawn straight comb and an empty box (no comb no foundation) very large swarm too. This swarm actually filled that drawn box to the brim with honey in one week! I was stunned, see I was using crush/strain method so my bees always had to make new comb, this new hive made me realize how important drawn comb is to bees, they look for it when house shopping and they have it in the spring after using up honey stores (I have never seen the 100lbs of honey others would be talking about and only one or two hives would have enough to harvest). I have heard people say its hard on the bees or making wax uses up honey.. I actually think the reason for a drastically smaller harvest without drawn comb is time, comb takes time to make and a lot of the time a flow will happen quickly so if you have a storehouse already made you can pack away more food, instead of having to build one and miss out on 50%(example only) of your crop. One thing I have to say though about catching swarms is to be careful, some swarms can and do have illness issues I have seen it myself, chalkbrood weak genetics from honey producers (treated bees will not have any resistance to diseases) ect. If you can it would be a good idea to isolate them from your main apiary or have small apiarys to minimize risk of genetic / direct contamination. Man Sam I totally missed this comment…. Sorry for that. You are quite a bit North of me so your time table would be a little different. I suppose I should have mentioned that. As for drawn comb, I too am a believer in its value. That is why I take all the time and effort to sort through my extracted combs put them in boxes and freeze them inside trash bags every fall. Didn’t get a chance to post about it this Spring, but several colonies got 4-6 supers of drawn comb on top of them in early April. These were on top of 1 medium with foundation in it – directly over the brood/honey area. The undrawn box kept the queen from heading up into those supers to lay and the bees made use of a lot of the early honey flows. This is the first year I have ever gotten enough black locust to bucket and bottle it separate. 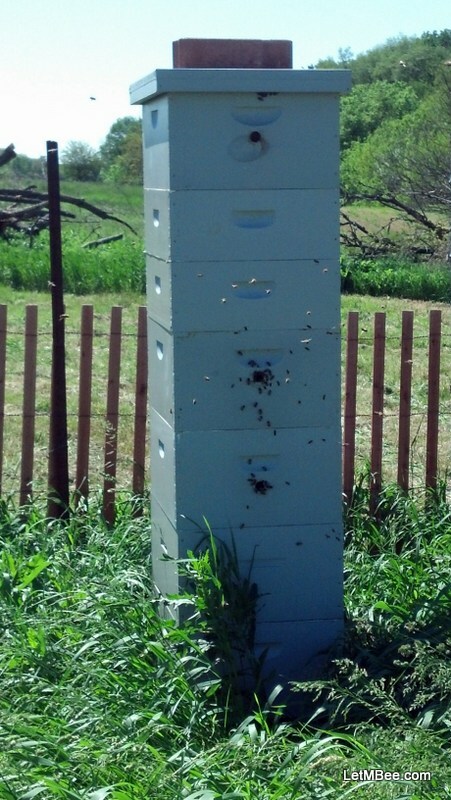 One of the test hives in a good location gave me 3 full supers of nothing but black locust. Another hive at a different location gave me 5 mediums. That stuff was a total mix, but they really put a ton of honey away this year. I am worried about comb disease and pests, but I am just going to watch and wait to see what happens. I found SHB in swarms trapped from areas that didn’t have them last year. I think that those are getting shipped around by beekeepers and package bees. I don’t know what else to do, but let the bees deal with them. 1202 and 1109 are both seem to be dealing with them. I didn’t see any in there in April, June, or August, but did see some the first week of September in there. Both hives were still booming and anticipate they will overwinter. How many traps do you have and how far of an area do you deploy them in. I have looked and I have about a 50 mile radius that I am currently trapping. You might have more bees around there. I put in one of the previous posts that bees coming from certain areas were not performing as well as bees from others. I am believing this to be true more and more. I am going to begin focusing on catching bees from those BETTER areas. I hope to have more time once this house gets done and I get moved. I learned quite a bit this year, and want to get some of that out before next Summer. Sorry it took me so long to address your comment. I agree with you. I’ll take anything I get and see if I can work it (I say this as a 2nd year beek!!). We split a friends hive into 3 on 9 June and 1 of my hives has produced about 20lb of honey (= a silver spoon)? The other hive had to produce an emergency queen so I was just happy for this hive to get ready for the Winter and be productive in 2014. However, I am now harvesting and bottling honey for a friend and have just created some Talking With Bees honey which I am selling in Bristol. Congrats on the 2nd year. I too am hoping for a better year in 2014. From reading your Blog I remember that you just recently had an addition in your family. It was a huge adjustment for us around here and really took me away from my bees and the blog and a bunch of other stuff. Congrats on getting some product out there too. I love selling honey to people, but like answering the many varried questions even more. I have met a lot of interesting people over the last couple years developing my customer base. Getting a market established does take some time, but if you produce a good product people will come looking for you. I have a list of people I must contact every year at extraction time.